xA smartphone noise meter app in every pocket? Our world is getting louder. Excessive noise is a public health problem and can cause a range of health issues; noise exposure can induce hearing impairment, cardiovascular disease, hypertension, sleep disturbance, and a host of other psychological and social behavior problems. The World Health Organization (WHO) estimates that there are 360 million people with disabling hearing loss. Occupational hearing loss is the most common work-related illness in the United States; the National Institute for Occupational Safety and Health (NIOSH) estimates that approximately 22 million U.S. workers are exposed to hazardous noise. Smartphones users are expected to hit the 2 billion mark in 2015. The ubiquity of smartphones and the sophistication of current sound measurement applications (apps) present a great opportunity to revolutionize the way we look at noise and its effects on our hearing and overall health. Through the use of crowdsourcing techniques, people around the world may be able to collect and share noise exposure data using their smartphones. Scientists and public health professionals could rely on such shared data to promote better hearing health and prevention efforts. In addition, the ability to acquire and display real-time noise exposure data raises people’s awareness about their work (and off-work) environment and allows them to make informed decisions about hazards to their hearing and overall well-being. For instance, the European Environment Agency (EEA) developed the Noise Watch app that allows citizens around the world to make noise measurements whether at their work or during their leisure activities, and upload that data to a database in real time and using the smartphone GPS capabilities to construct a map of the noisiest places and sources in their environment. 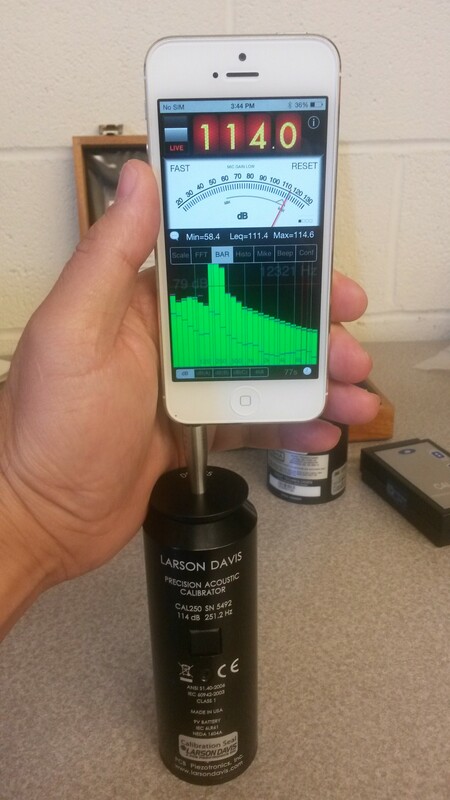 However, not all smartphone sound measurements apps are equal. Some are basic and not very accurate while some are much more sophisticated. NIOSH researchers conducted a study of 192 smartphone sound measurement apps to examine the accuracy and functionality of such apps. We conducted the study in our acoustics laboratory and compared the results to a professional sound level meter. Only 10 apps met our selection criteria, and of those only 4 met our accuracy requirements of being within ±2 decibels (dB) of type 1 professional sound level meter. Apps developed for the iOS platform were more advanced, functionality and performance wise, than Android apps. You can read more about our original study on our NIOSH Science Blog at: http://blogs.cdc.gov/niosh-science-blog/2014/04/09/sound-apps/ or download our JASA paper at: http://scitation.aip.org/content/asa/journal/jasa/135/4/10.1121/1.4865269. 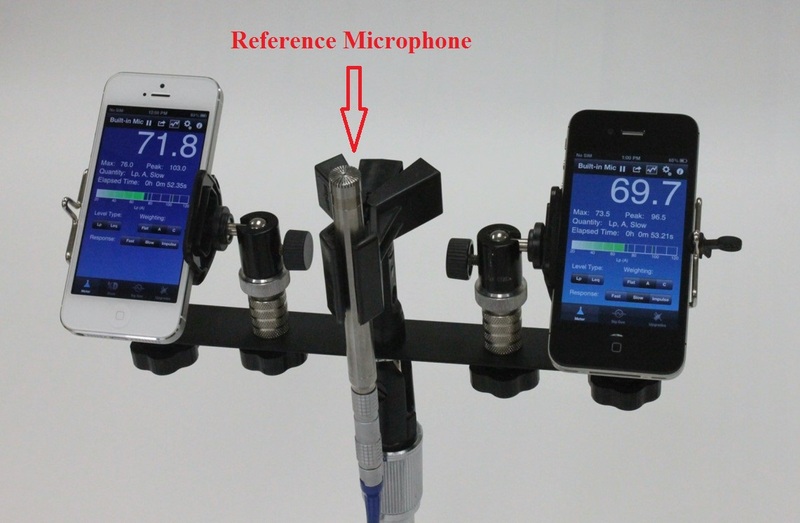 Today, we will present on our additional efforts to examine the accuracy of smartphone sound measurement apps using external microphones that can be calibrated. There are several external microphones available mostly for the consumer market, and although they vary greatly in price, they all possess similar acoustical specifications and have performed similarly in our laboratory tests. Preliminary results showed even greater agreement with professional sound measurement instruments (± 1 dB) over our testing range. We will also discuss our plans to develop and distribute a free NIOSH Sound Level Meter app in an effort to facilitate future occupational research efforts and build an noise job exposure database. 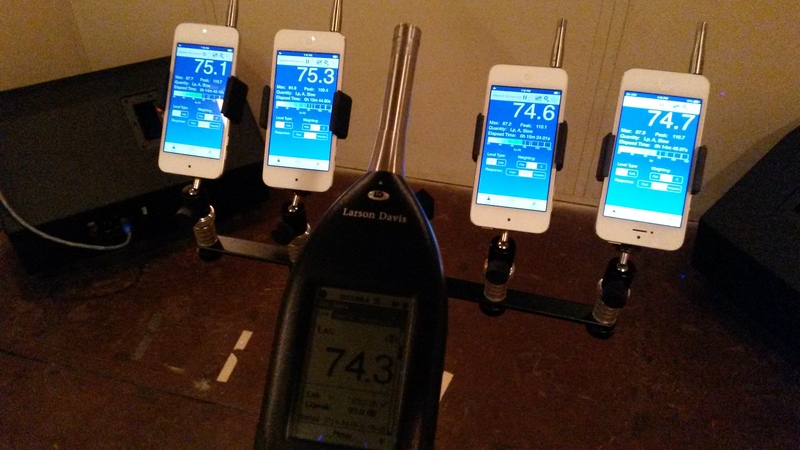 Challenges remain with using smartphones to collect and document noise exposure data. Some of the main issues encountered in recent studies relate to privacy and collection of personal data, sustained motivation to participate in such studies, bad or corrupted data, and mechanisms for storing and accessing such data.